*Do not check this box if you have an Annual Pass. The offer is not valid with the Interagency Annual Pass. If you are a holder of an Access Pass or Senior Pass (formerly known as Golden Access or Golden Age passes) you can receive a 50% discount off of established standard rates at Bridge Bay, Canyon, Grant and Madison Campgrounds. The offer is not valid for Fishing Bridge RV Park. You must show your pass at check-in to receive the discount on your site only. Otherwise you will be charged the prevailing standard rate. For more information about Interagency passes, please visit this page on the NPS website. We operate 2 horse corrals (Roosevelt and Canyon) and provide trail rides for thousands of guests in the summer. Our primary horse operation is based out of Roosevelt Lodge, while our other location is at Canyon Village. Not only do we take guests on horseback rides, but we also operate stagecoaches and covered wagons. 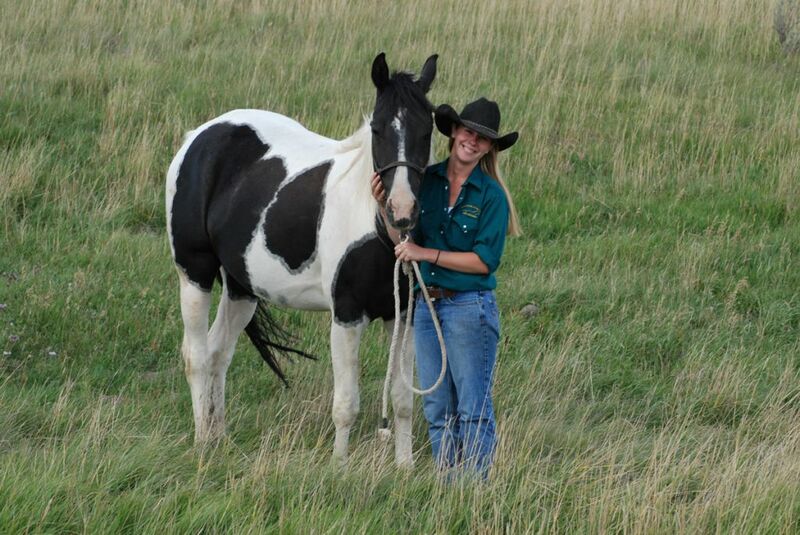 Wrangler positions are filled by experienced horse men and women willing to work hard and care for our guests and our horses. 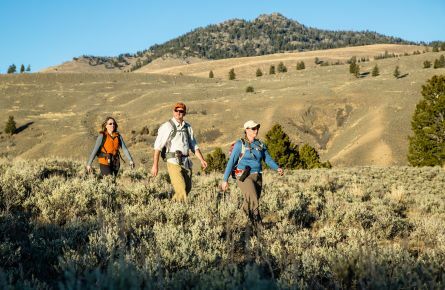 Why Choose a Wrangler Job in Yellowstone? You are drawn to the daily unique challenges of working in a remote location and can be flexible with changing weather and job priorities. You love the idea of being off the grid. Wranglers at our Roosevelt location live and work in an area with no cell phone reception. You love horses and don’t mind getting dirty. Wranglers haul hay, scoop poop, groom horses, and other barn chores. You are an all-weather worker. The corrals remain open in all weather: sun, rain, snow, etc., and you must be comfortable working outside in all conditions. You have a passion for teaching. Not only will you be guiding guests, but you will also be sharing the history and wildlife of Yellowstone with them. Fun Fact: Every summer, we provide 40,000 guests Yellowstone experiences that involve horses (400 guests per day). To do this we use 230 horses, haul over 400 tons of hay, haul out over 400 tons of manure and utilize only 50 employees. That is 800 guests per employee and we do it all in 100 days. As a wrangler, not only do you have to be great with horses, but you have to be great with guests as well. Providing our guests with engaging commentary on the areas they are passing through, its history, and the wildlife that live there is an important part of the job. Interested? We hire both Wranglers and Stagecoach/Wagon Drivers. 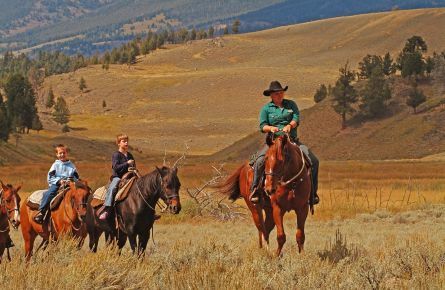 Wranglers lead guests on one- and two-hour guided horseback rides on established trails. Providing our guests with engaging commentary on the areas they are passing through, its history, and the wildlife that live there is an important part of the job. Stagecoach and Wagon Driver positions are filled by experienced horse men and women willing to work hard and care for our guests and our horses. Providing these guests with engaging commentary on the areas they are passing through, its history and the wildlife that live there is an important part of the job. These teams of horses are large draft horses that require special skills. Oh the places you'll go! Learn more about the recreation and perks of living in Yellowstone. 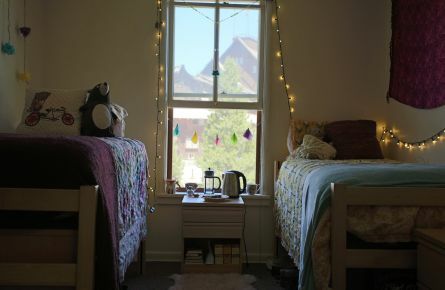 Get to know more about the community of people you'll meet, the housing, and the food.